Mangalagiri is a town in Guntur district of the Indian state of Andhra Pradesh. The town is the headquarters of Mangalagiri mandal under Guntur revenue division. It also forms a part of the Andhra Pradesh Capital Region. It is situated on National Highway 5 between Vijayawada and Guntur. The town was known to be existed since 225 B.C. 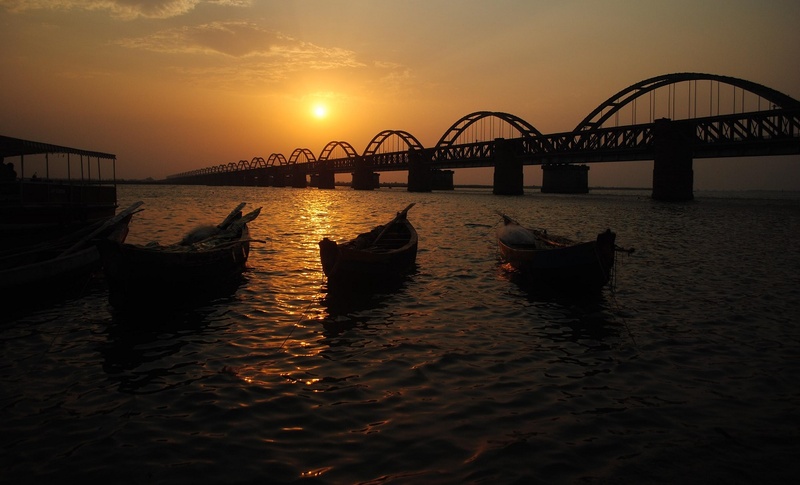 It is also a part of Andhra Pradesh Capital Region with a population of 73,613. It is dated to 1520 and mentions the capture of Kondavidu by Timmarasu, general of Krishna Deva Raya, in 1515 from the Gajapati rulers of Kalinga (ancient Odisha). Another stone near the temple of Garudalvar has inscriptions on four sides recording grants in the reign of Sadasiva Raya of Vijayanagara Empire 1538. The lofty gopuram in the temple at the foot of the hill was erected by Raja Vasireddy Venkatadri Nayudu in 1807–1809, and in terms of sculpture and architecture this temple stands to be an ultimate testament for the ancient vishwakarma sthapathis in planning and sculpting these temples. Mangalagiri was under the control of Golkonda Nawabs for a long period. It was plundered in 1780 by Hyder Jung but could not be conquered. In 1816, a gang of Pindaris again looted the place. It slowly recovered from these two attacks during the time of Raja Vasireddy Venkatadri Nayudu who ruled the place from Amaravati. There is a big koneru (tank) in the center of the place which went dry in 1882. As many as 9,840 guns and 44 bullets which might have been related to Pindaris have been found here after the Pindaris looted this place.The picturesque hill was visited by the great Sri Krishna Deva Raya. In the 1970s there was huge water scarcity in Mangalagiri. Goli Gopala Rao, the then municipal chairman of Mangalagiri, brought water to the town through water pipelines and he was called "Apara Baghiratha" due to his services to the public. Lakshmi Naramisha Temple is the abode of Lord Vishnu, who manifested himself as Thotadri, is present in Mangalagiri. There are three Narasimha Swamy temples. Undavalli caves, located near Mangalagiri, a specimen of Indian rock-cut architecture. The historic caves are located at the top of the hills overlooking the Krishna River, built during the 4th-5th century. Dedicated to Ananta Padmanabha Swamy and Narasimha Swamy, Undavalli Cave Temples are associated with the Vishnukundina kings. Hinkar Thirtha Jain Temple,located in Namburu is the largest Jain temple in the region, visited by many Jains, from different parts of the state. Mangalagiri is located on NH 5 that connects Kolkata and Chennai. The town has a total road length of 109.30 km (67.92 mi). The Tenali-Mangalagiri road is a part of the core road network of the district, that connects the town with the city of Tenali. Mangalagiri bus station is owned and operated by Andhra Pradesh State Road Transport Corporation. The station is also equipped with a bus depot for operation and maintenance of buses. Mangalagiri railway station situated on the Howrah-Chennai main line, administered under the jurisdiction of Guntur division of South Central Railway zone.